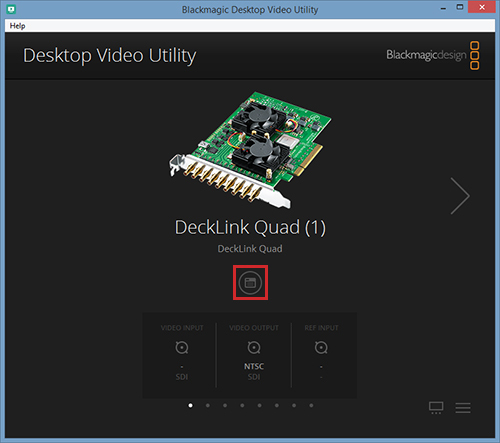 The Blackmagic Decklink Quad2 card can be used for up to 8 individual channels at the same time. These channels can be used for either input or output. 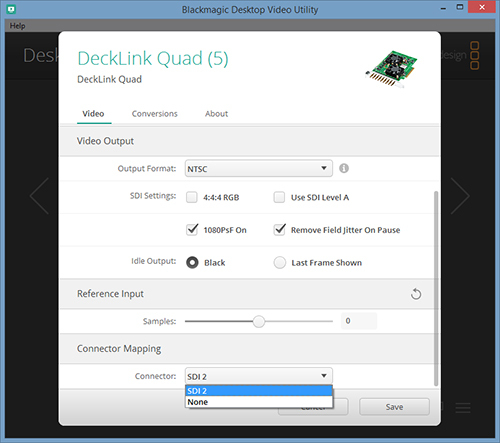 In order to use up to 8 channels individually, these need to be remapped in the BlackMagic Video Utility program. 2. 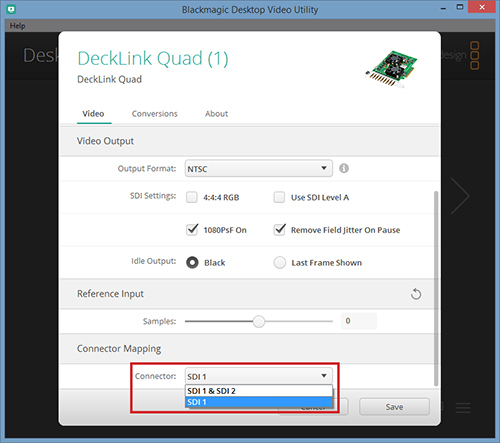 Choose one of the port numbers such as 1 demonstrated below and open its properties by clicking the centre button. 3. Down the very bottom under Connector Mapping the Connector should show SDI 1 & SDI 2 by default. Change this to SDI 1.